Our client had a fairly clear idea of the way they wanted their new kitchen to work. The challenge for us was to create a design that not only functioned effectively with all the things on the “Wish List” but it also had to have the understated, elegant look of a Black Rok kitchen. 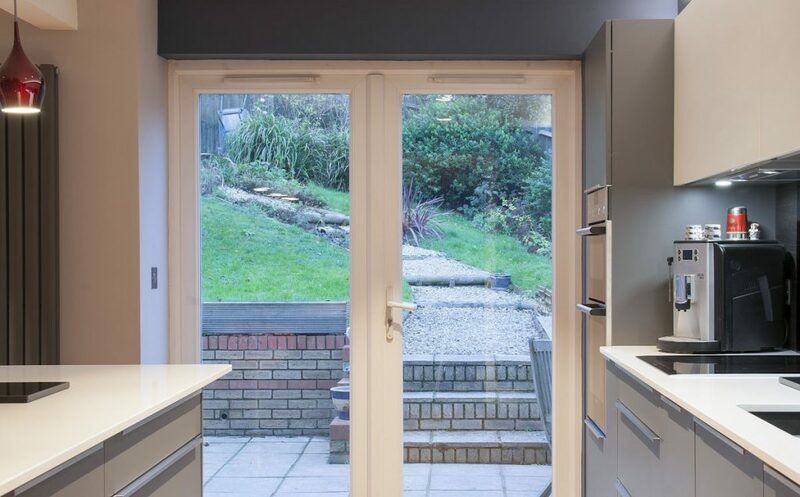 The client intended to knock the wall down between the dining room and the kitchen, they then wanted to relocate the kitchen to the opposite end of the space. They were keen that the kitchen would not dominate the space and would leave enough space for a dining table and chairs. The wall run needed to house the oven, fridge, sink, hob and dishwasher, oh and a larder cupboard cut in around some pipe boxing. The base units are framed on either end by the tall units and the look is lifted by the wall units and panelling. The peninsula was to be kept free of any appliances but have space for seating and a mix of cupboard and drawer storage. The kitchen is a beautiful example of simplicity, the unfussy design sure to last the test of time. 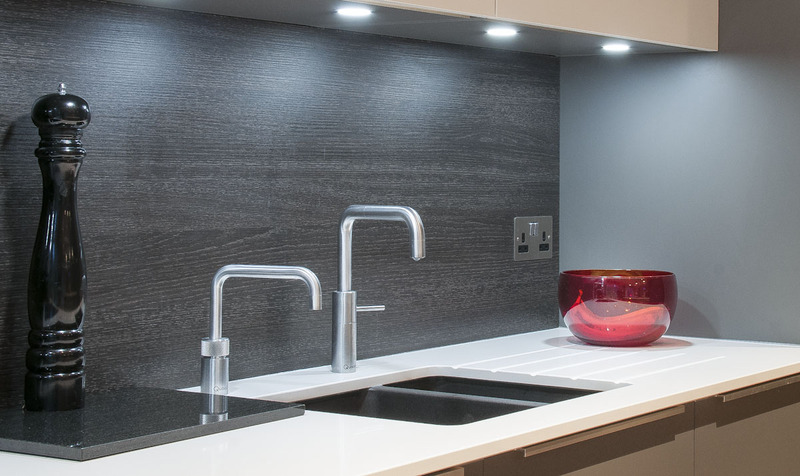 There are pleasing details such as the up lit panelling above the wall units and very elegant colour scheme, with the lava grey framing the white wall units and worktops. The high degree of functionality within a relatively small kitchen allows for the space to remain clutter free. 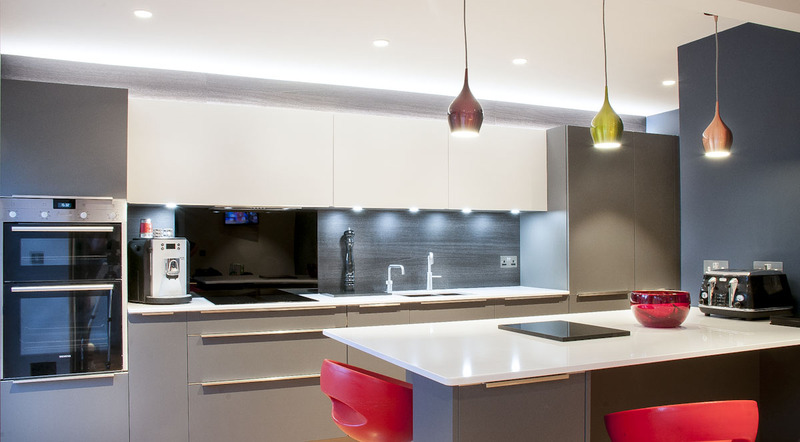 ‘We are very happy with the design and quality of the kitchen, it looks and feels stunning’.